Shahrukh Khan Breaking Bad? This is insane! We are numb! Seriously! Either this could go the right way and shut everyone’s mouths who have been abusing since the time the news came out. Or this could be a game changer in Bollywood. 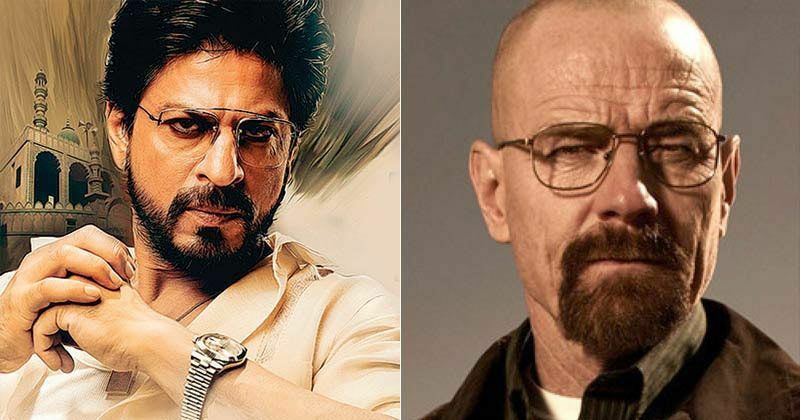 Shahrukh Khan decides to remake Breaking Bad is spreading like wild fire right now. Apparently Shahrukh Khan shared in an interview with a leading newspaper that he wants to make a Bollywood version of the popular series. Since then, Sahrukh Khan Breaking Bad has been trending on social media like there is no tomorrow. On being asked why he wouldn’t produce the series, he is said to have shared that he doesn’t feel that India has the kind of audience to appreciate the subject of the series. Since it involves drugs and mafia, it isn’t everyone’s cup of tea. First, Ekta Kapoor and Game of Thrones came into the limelight and now Shahrukh Khan Breaking Bad looks like the new “it” right now. He also said that he could most likely be playing the protagonist Walter White. While several fans exulted at the news, there are several who have made faces and blamed Bollywood for ruining several Hollywood films. Breaking Bad is a series that has managed to found a deep connect with its viewers. Playing with the idea of recreating it for India is a huge risk. If it works, there are chance everyone wouldn’t appreciate it. If it doesn’t, Indian Breaking Bad fans are going to be furious. Shahrukh Khan is taking a huge risk with Breaking Bad. We are quite eager to see how all of this turns out to be. We don’t doubt Shahrukh Khan at all. It is just the magnitude of the task that has got us all nervous. Shahrukh Khan Breaking Bad, who thought this was even possible?